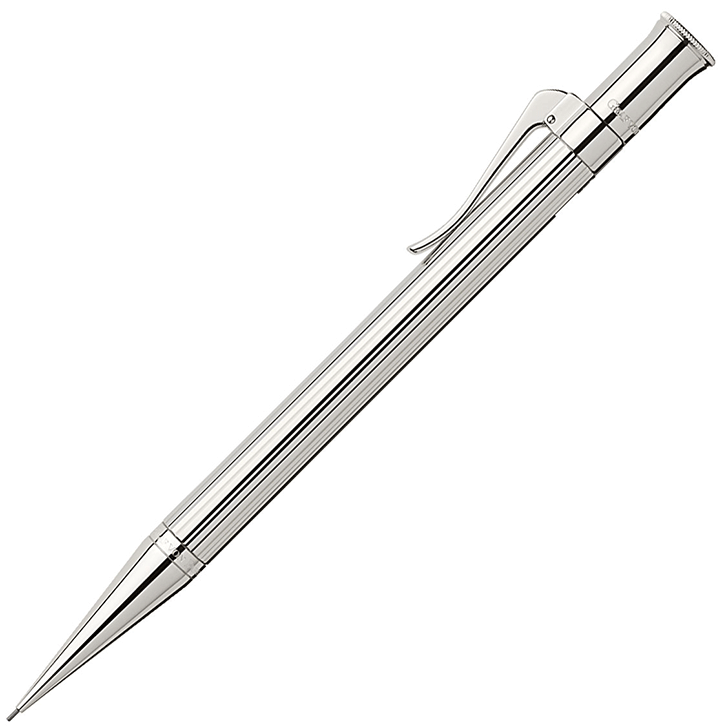 This is the Sterling Silver propelling pencil from Graf von Faber-Castell’s ‘Classic Collection’. It uses break-resistant 0.7mm leads of hardness B with an integral reservoir to hold spare leads. Under the removable cap is a replaceable white eraser. 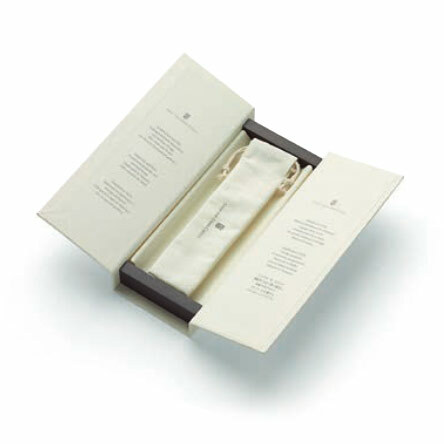 Supplied in a superb gift box (see below). 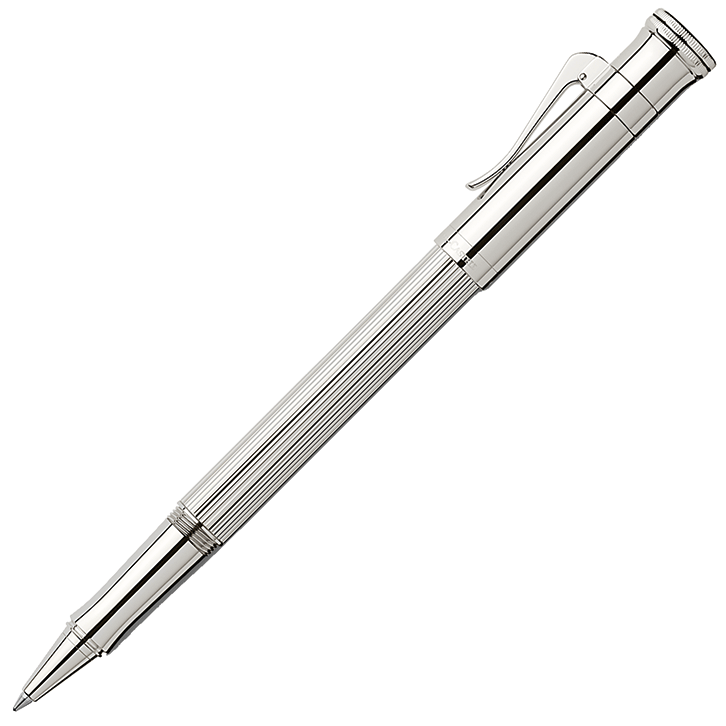 This is the Sterling Silver propelling pencil from Graf von Faber-Castell’s ‘Classic Collection’. 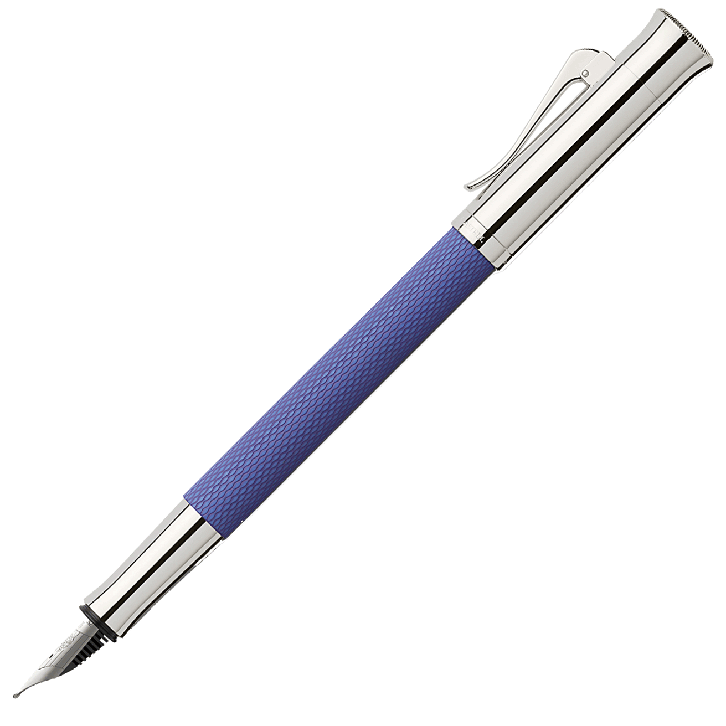 It uses break-resistant 0.7mm leads of hardness B with an integral reservoir to hold spare leads. Under the removable cap is a replaceable white eraser. 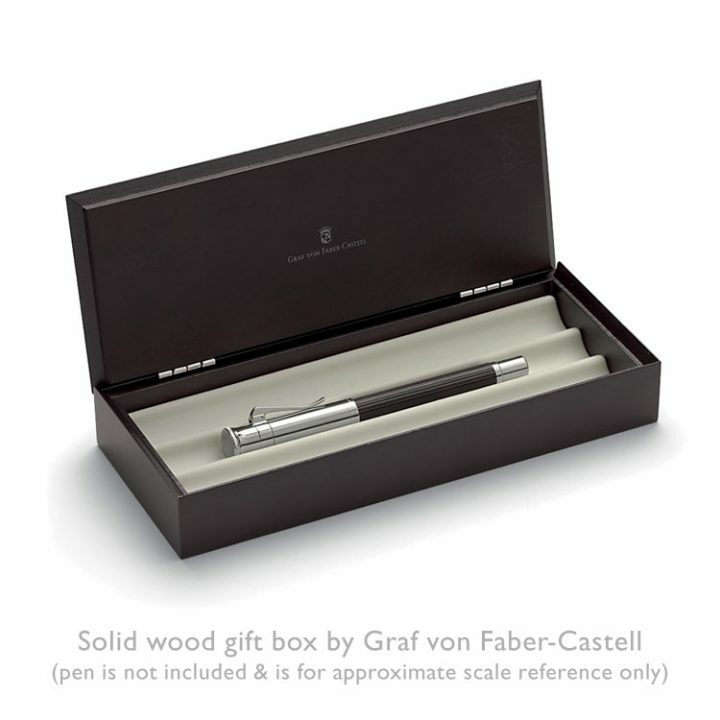 Writing instruments in this range come with a matt-finish wooden gift box, which includes a draw-string fabric pouch, a small information booklet and an integral tray insert which has room for up to three writing instruments.